This was not meant as a replacement for the M1956 LCE, mearly it was meant for supplemantary use in Southeast Asia ONLY as M1956 LCE was still standard elsewhere. It was probably never issued in complete sets was allways intermixed in with the old M1956 canvas equipment. Some of the items were made en masse, but some of the items had contracts canceled or reduced before many could be made. Because of this the collectors have wildly driven up the prices on and some of it is still very cheap. My opinions will mostly be in how these early items could be integrated in with the later gear. A lot of the noncoms did just this and held onto some of the more usefull items well into the Alice era. The belt for the M1967 MLCE system. It has the Davis T connector. It was found that it came undone far too easily. The ground would push it open. It's also harder to adjust them the Alice belts and does not have the quick extender. Not recomended. This only works with the M1967 suspenders, Because of this it is rarely found used, almost allways it is found new never used. Tt is easily found and decently priced. It's worlds better the the M1956 spagetti straps. If you have the M1967 suspenders and want to carry along your sleeping roll or your poncho and liner, this will work for you. This is worlds better then the Alice plastic clamshell version, Resonably priced as well. 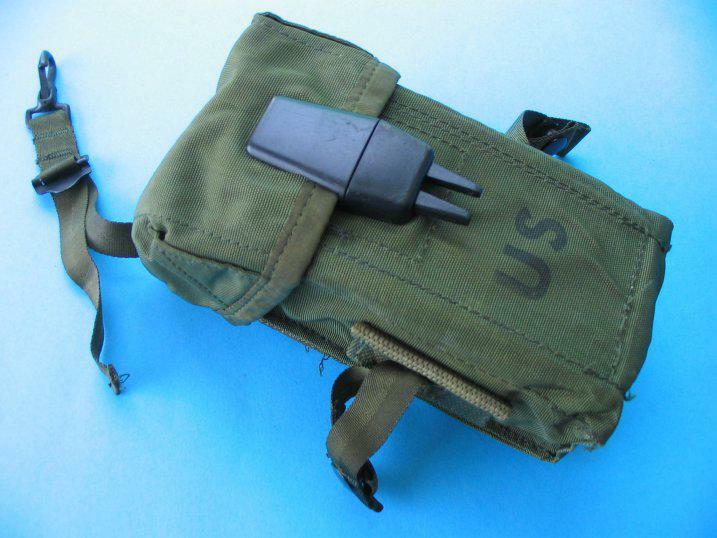 The Shovel made with this pouch is STILL standard issue today with a Molle pouch. Functionaly this is not any different then the Alice one. It has a plastic snap. However it's rare as heck and an extremely desired collectible. Pass on it for this reason. This is the 1967 original version of an item that survived to be used into the preceeding two systems. This original has a couple slight differences. I am told only 500 of the originals were made. Get the later field training ones as this is a bit of an expensive collectible now. These are for 20 round M16 mags and two gernades. It has a clip that goes up on the suspenders that holds it up when full. It won't fit 30 round 5.56 mags or 20 round 7.62 mags. 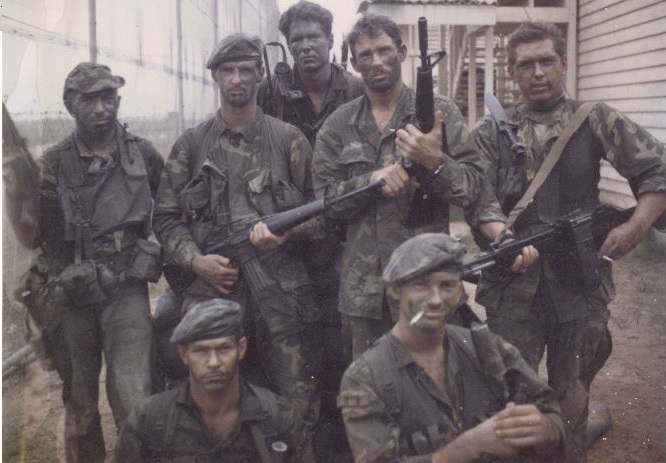 However they do fit five of the 15 round M1 Carbine magazines per pouch quite well. This has an internal divder. Holds 2 mags, Extremely rare if it even exists. Advanced collectors have never even seen this. But the NSN and description of the specs exisits so it is listed here.